Plant Biochemistry and Molecular Biology Laboratory, University College, Trivandrum, Kerala, INDIA. Background: Health-benefit properties of natural pigments have been intensely studied, especially the anthocyanins. In the last few decades, research on anthocyanins has attracted biologists by the increasing evidence of their health beneficial effects. Osbeckia, belongs to Melastomataceae and is well-known for colouring pigments and other bioactive compounds. In the present study, total anthocyanin and antioxidant capacity indicators were evaluated from 8 Osbeckia spp. and anthocyanin was extracted from in vitro cultures of O. aspera and O. reticulata. Materials and Methods: The antioxidant effect was studied using ABTS (2, 2’-azino-bis-3-ethyl benzthiazoline-6-sulphonic acid) radical cation decolourisation assay, the FRAP, the scavenging ability of hydroxyl radicals and the superoxide anion scavenging activity. Anthocyanin extracted from in vitro cultures were purified and fractionated using column chromatography and LC-MS MS analysis. Results: In vitro cultures of O. aspera was obtained in MS medium fortified with various combinations of Benzyl Adenine (BA), Naphthalene acetic acid (NAA) and 2, 4-D. The chromatograms of O. aspera revealed the presence of malvidin-3 -diglucoside, peonidin, delphinidin and cyanindin whereas O. reticulata cultures accumulated large amounts of malvidin, cyanindin and cyanidin aglycone. The purified anthocyanins of these species were evaluated for their antioxidant potential and was found more remarkable than the crude extracts. Conclusion: Osbeckia species are rich in anthocyanin and therefore display potential AOX power. O. aspera and O. reticulata callus was induced in vitro production of anthocyanins. The pool of anthocyanins was purified and fractionated by LCMS/ MS and AOX assays were performed with the purified anthocyanin which showed higher level activities. 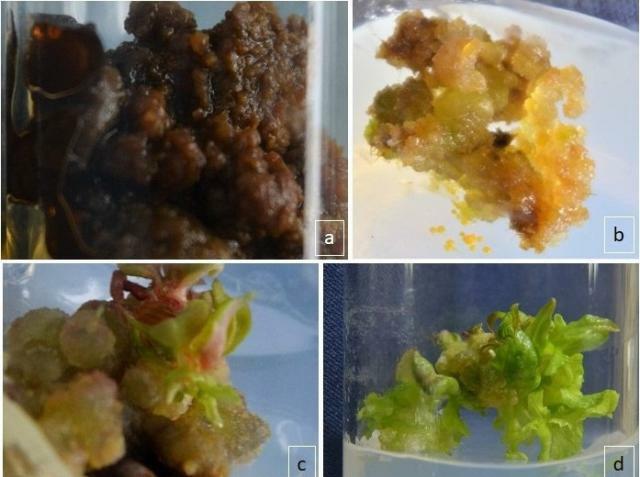 Lawarence B, K M. Comprehensive Evaluation of Antioxidant Potential of Selected Osbeckia species and their in vitro Culture, Purification and Fractionation. Pharmacognosy Journal. 2017;9(5):674-682.